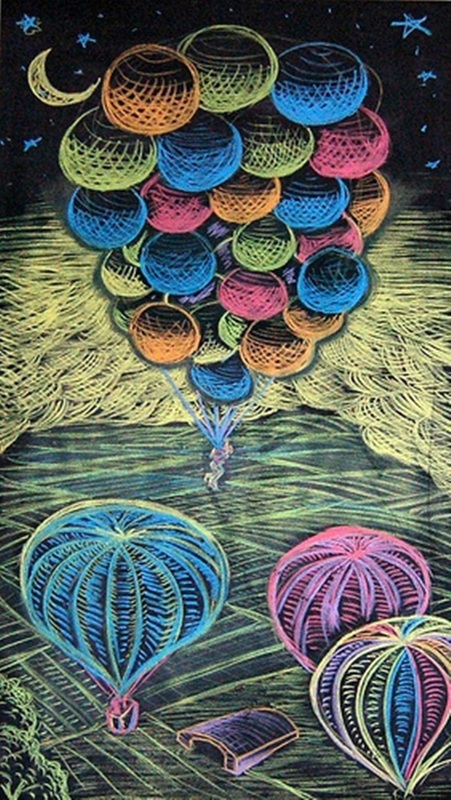 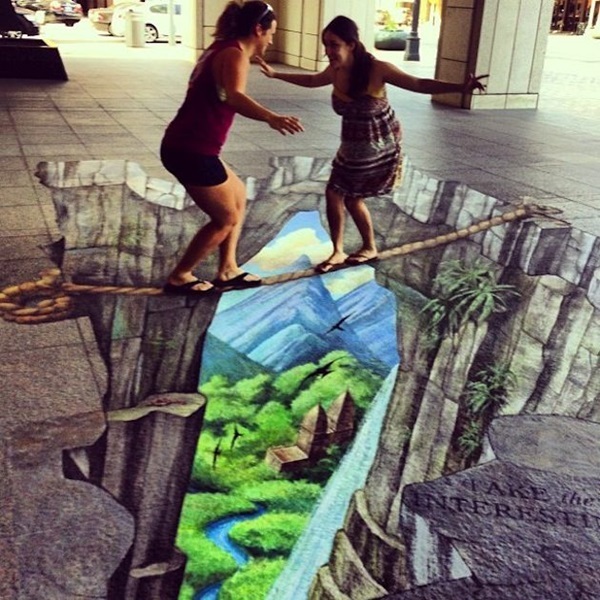 The best part of art when we come to think of it is that there is no limit to it. 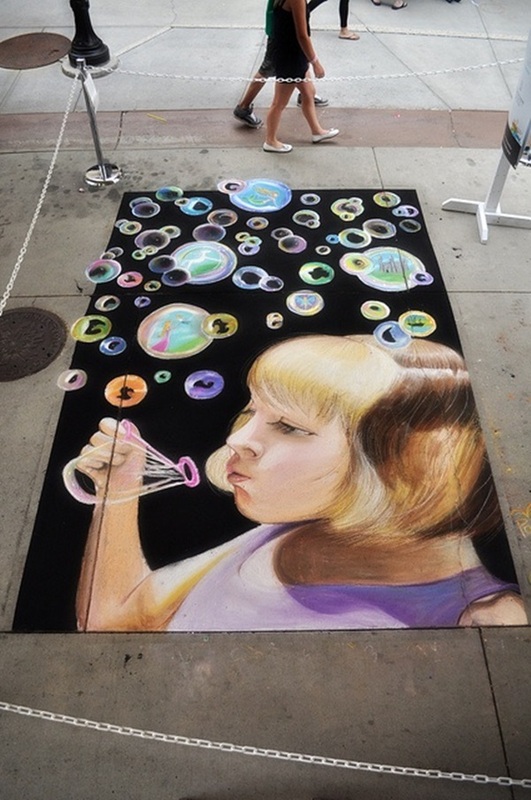 Art can and does take on many forms and uses many media to provide something so visually stunning that sometimes we are literally gasping for breathe. 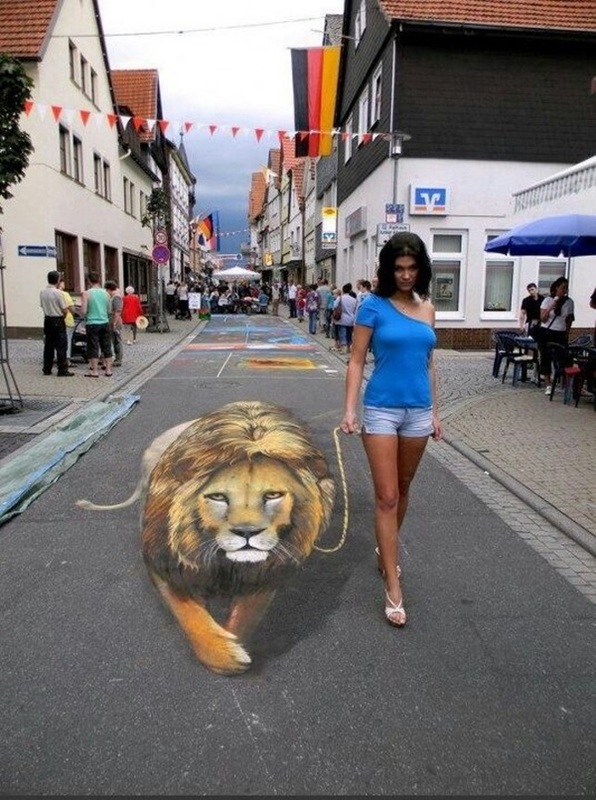 You will realize what we mean when you look at the shocking and stunning examples where the human body has been used as canvas to create art that is really fascinating. 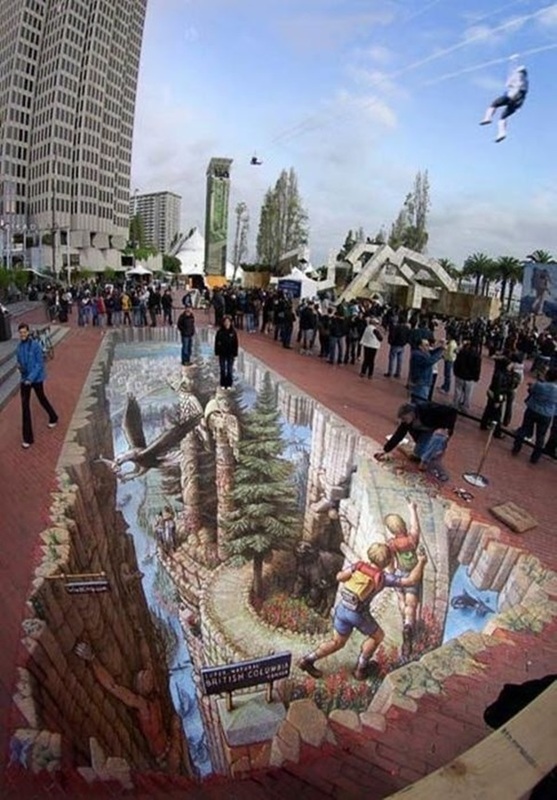 Or the way that art has not left other media like ceramics untouched. 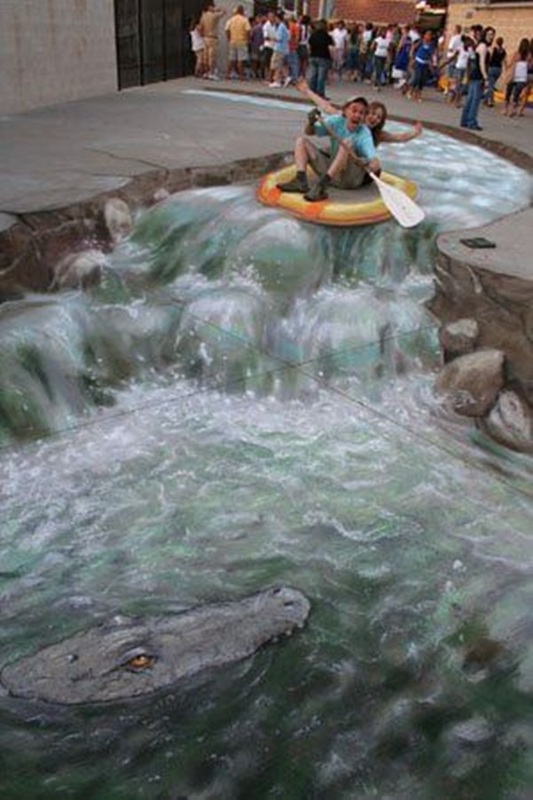 In fact you just have to look at the fascinating world of ceramics to see what we mean about the scope of art being unlimited. 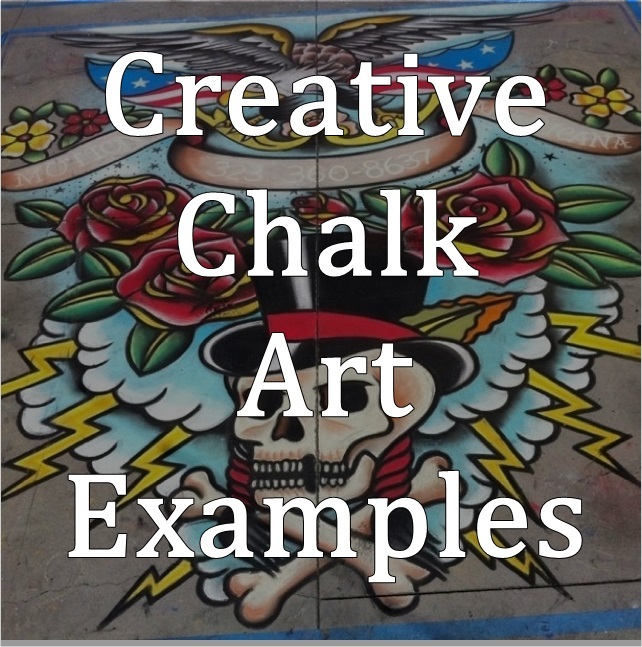 In fact when you look at the creative chalk art examples you will really conclude that with the right talent for art, there is actually no limit to what can be created. 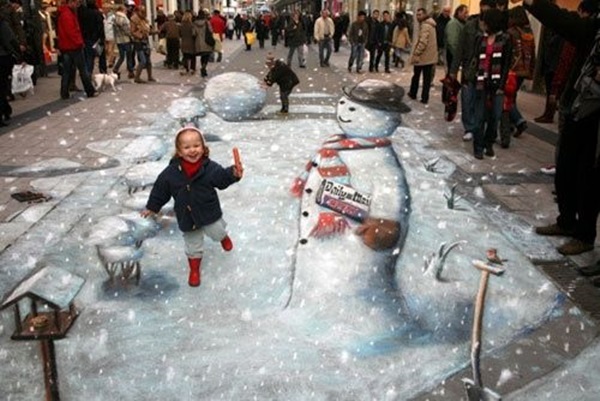 In fact the art that has been created with the use of mere chalk is so vast and looks so stunning that one cannot help compare it to the equally amazing and surrealistic art by Choo San. 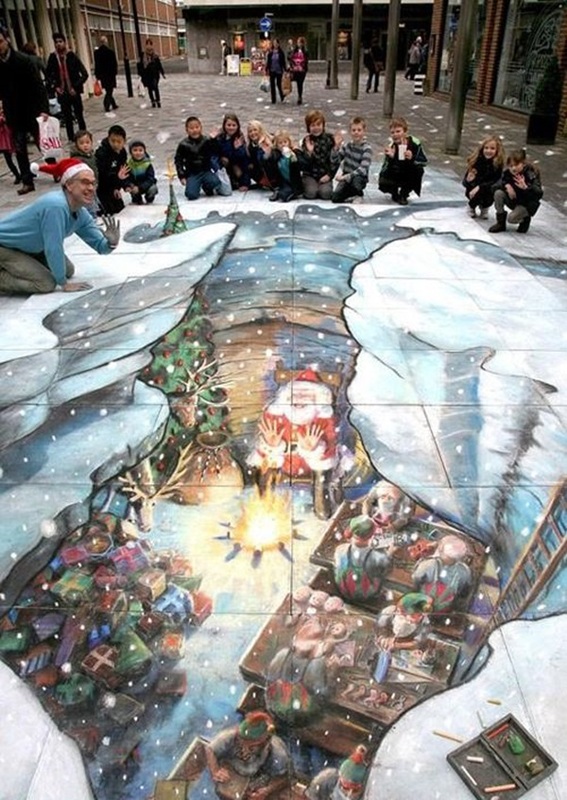 Actually coming to think of it the concept behind these really moving chalk art examples itself shows how much the thinking of the artist has developed to be able to create art of this magnitude. 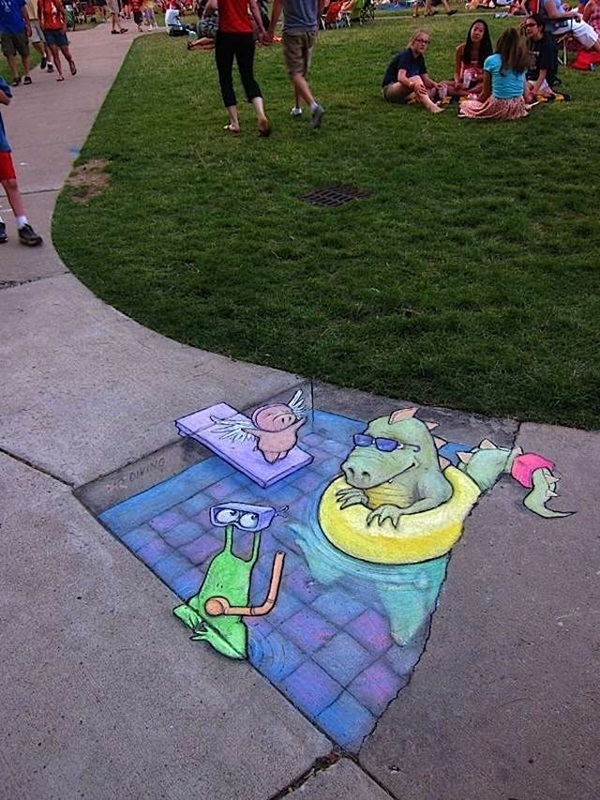 Converting the mundane to the divine: Some of these chalk art examples that are shown here have simply transformed what would have otherwise been a really mundane everyday scene into something that is divine to look upon. 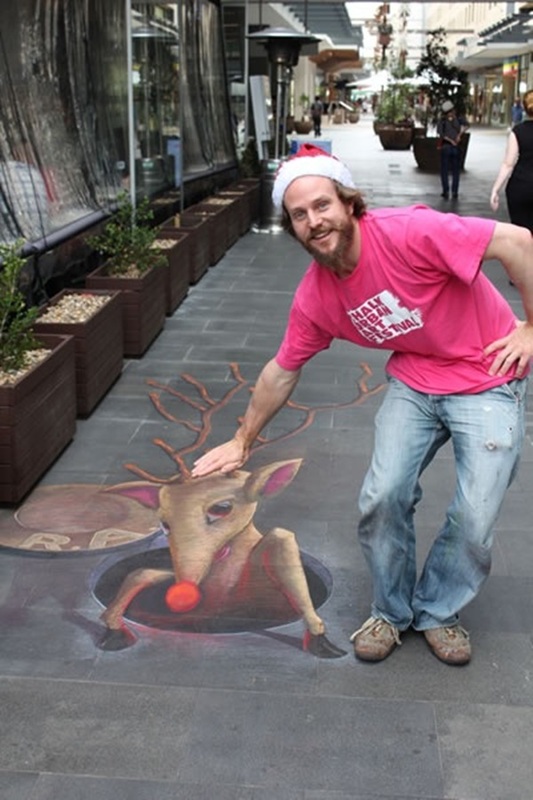 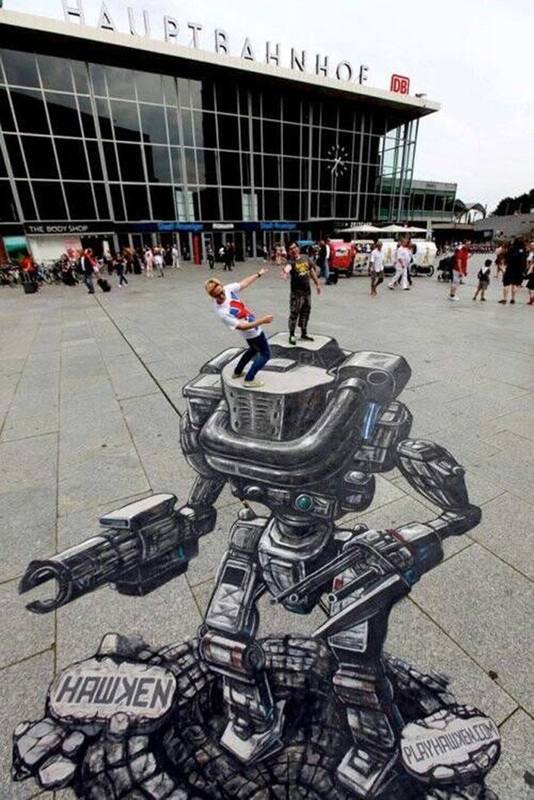 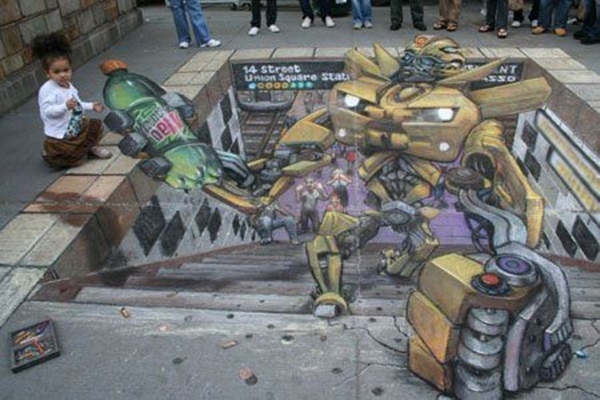 This transformation is simply amazing considering that only chalks have been used to create the art. 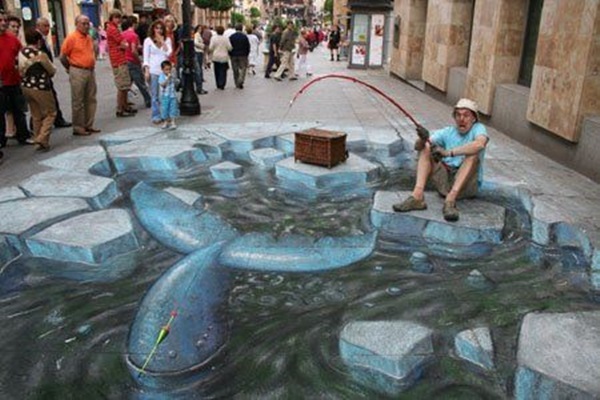 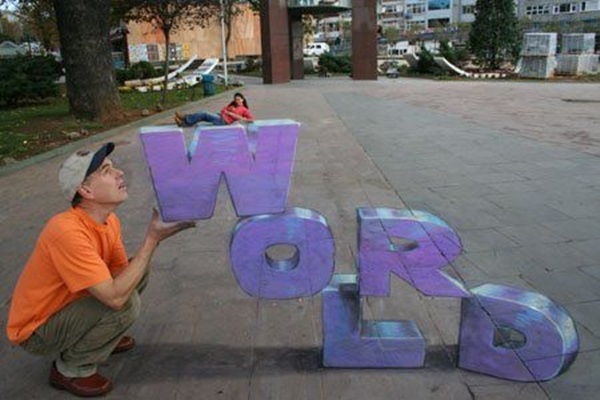 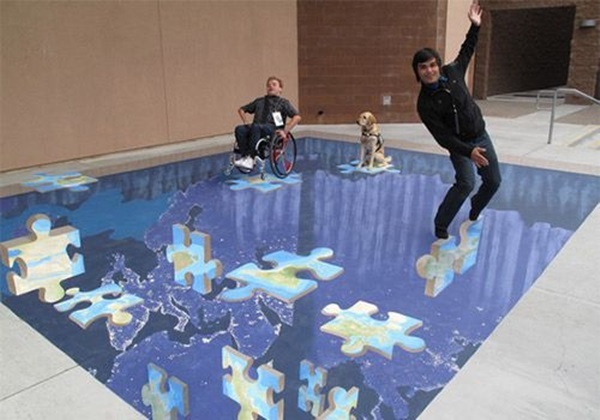 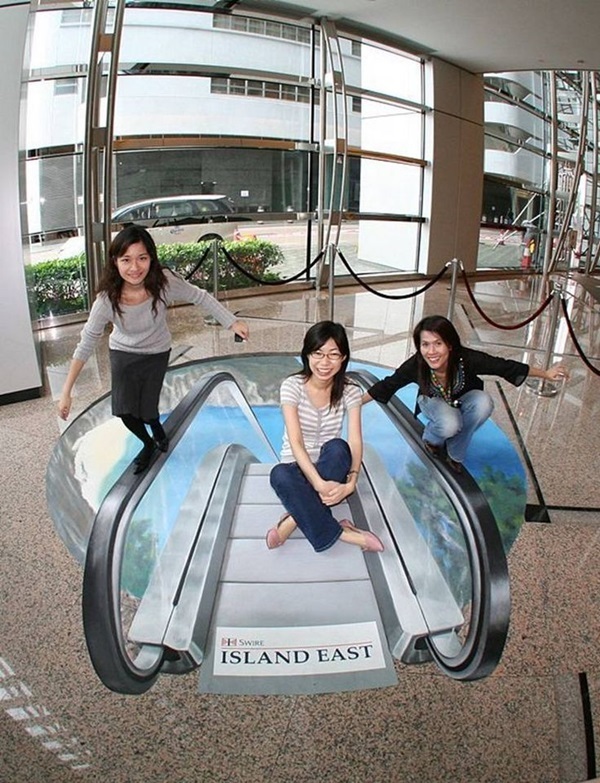 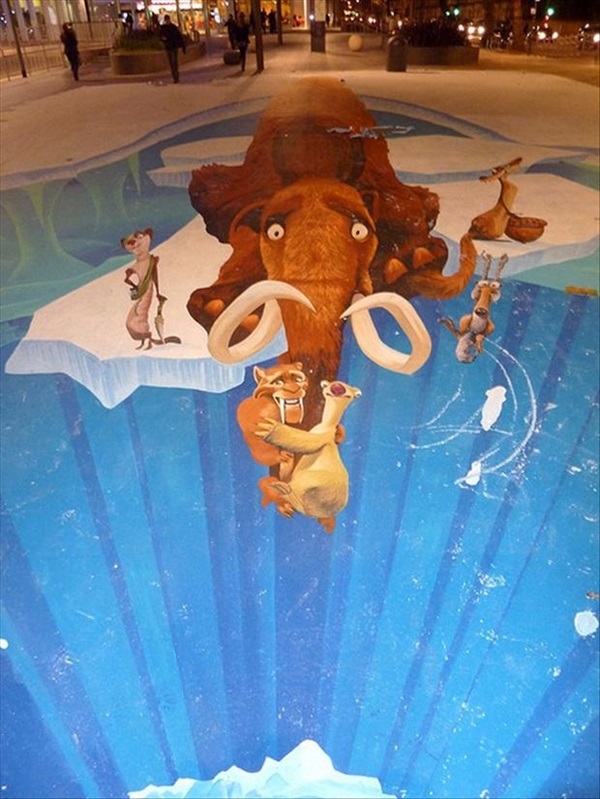 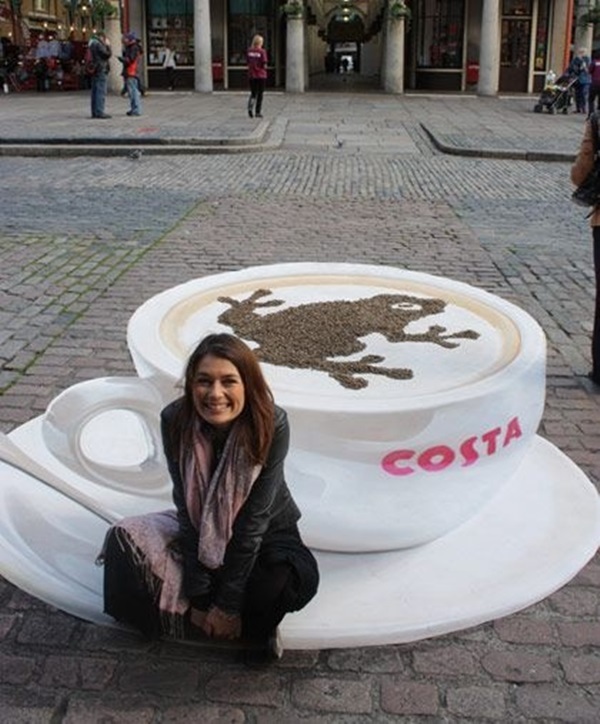 Creating three dimensional depths that are realistic: Many of the examples of chalk art have used shading and other tricks to create a 3 dimensional look that is very realistic. 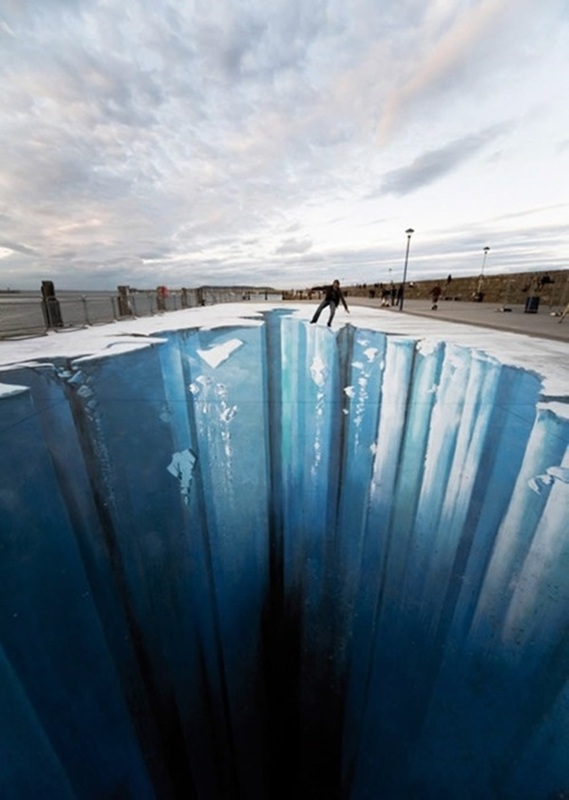 When you see the depth that has been created, the first instinct is to lean back to prevent oneself from falling in. 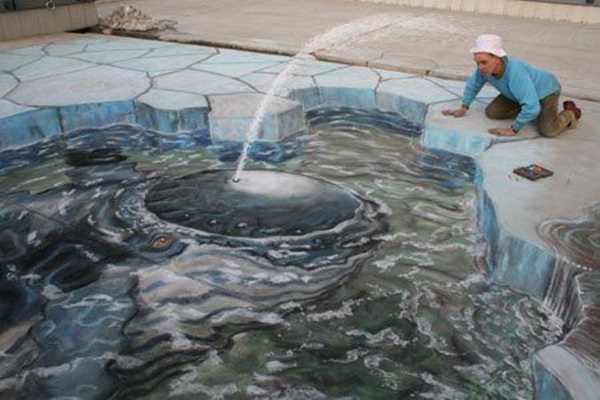 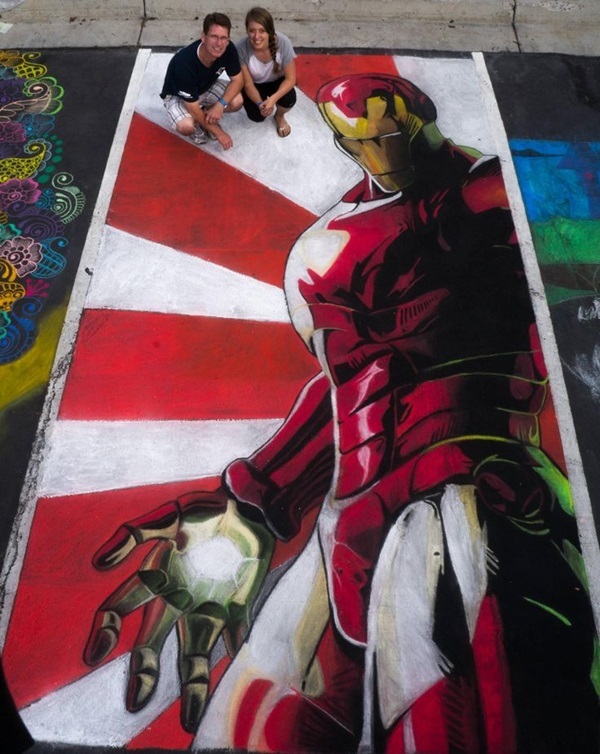 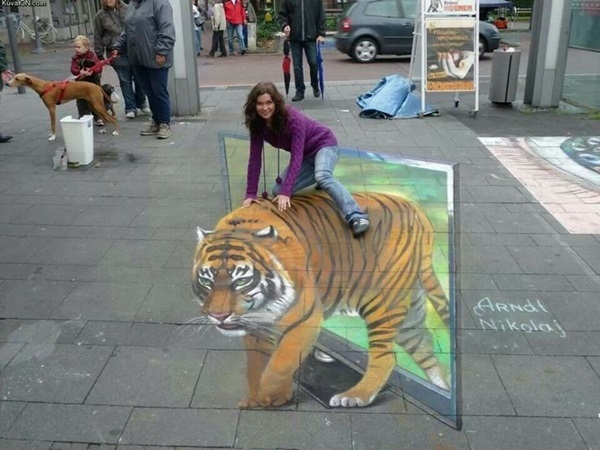 Melding reality with fantasy seamlessly: Some of these chalk art examples have taken simple and realistic elements like leaves on the street and blended into the art work in such a way that the whole thing works. 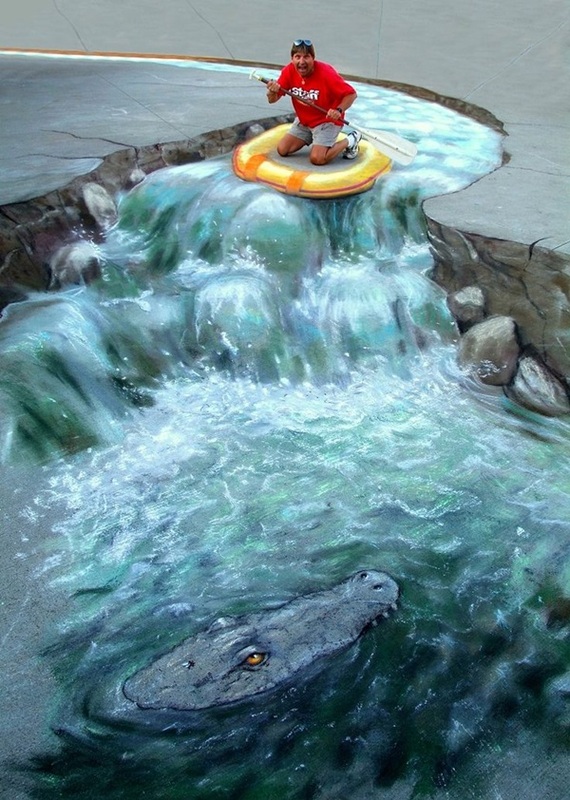 As we said earlier, you really have to wonder at the way the artist thinks and the way he/she is able to blend in reality and fantasy elements so seamlessly. 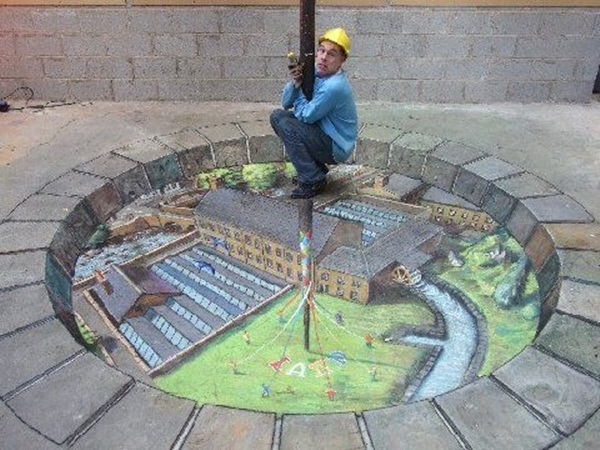 Adding natural elements into an urban area: When we are in the city the landscape is full of manmade structures we tend to forget all about nature. 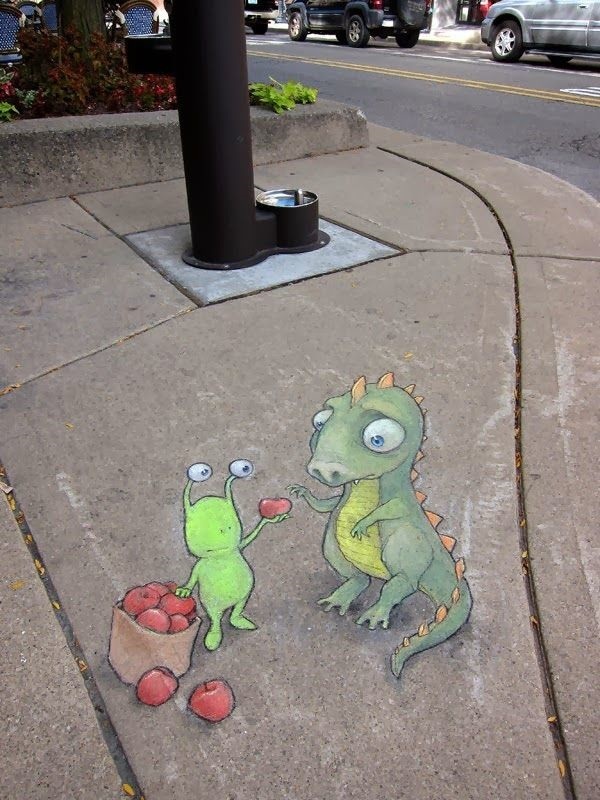 These chalk drawings with their simple and basic elements of nature remind us about all the things that we have been missing even without knowing that we are. 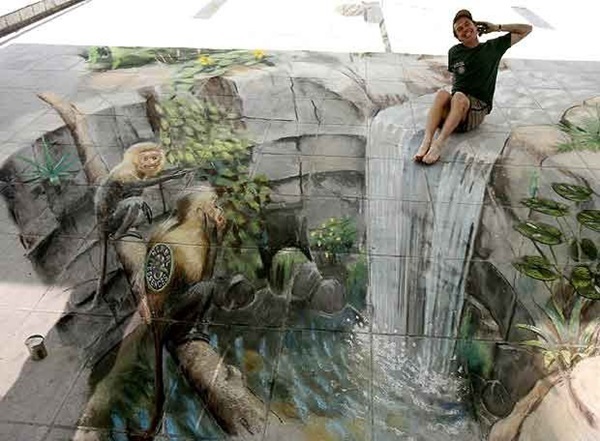 Whimsical and funny elements to make you smile: A pixie peeking out of an unexpected place, a cute elf doing something funny or a lion jumping out of nowhere and more. 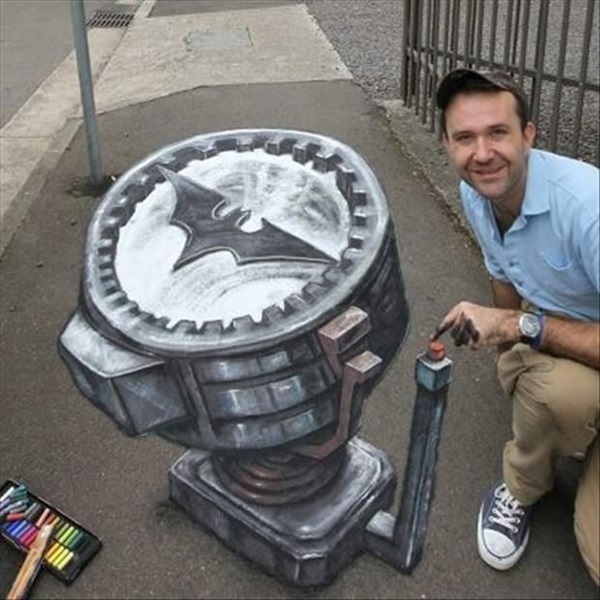 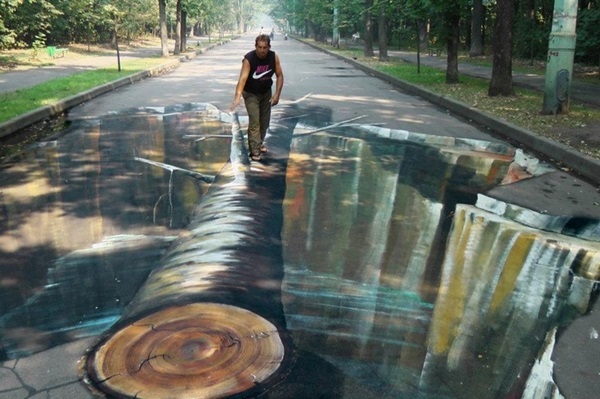 These are all part of the street art that is produced using chalk. 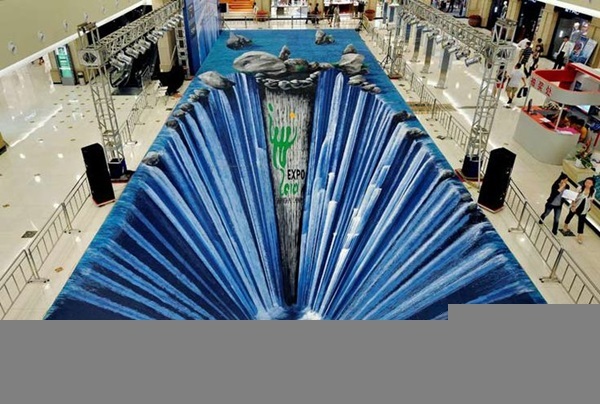 Though we have always used chalk to draw and write, this form of art is indeed sensational and seems to represent a new side of art. 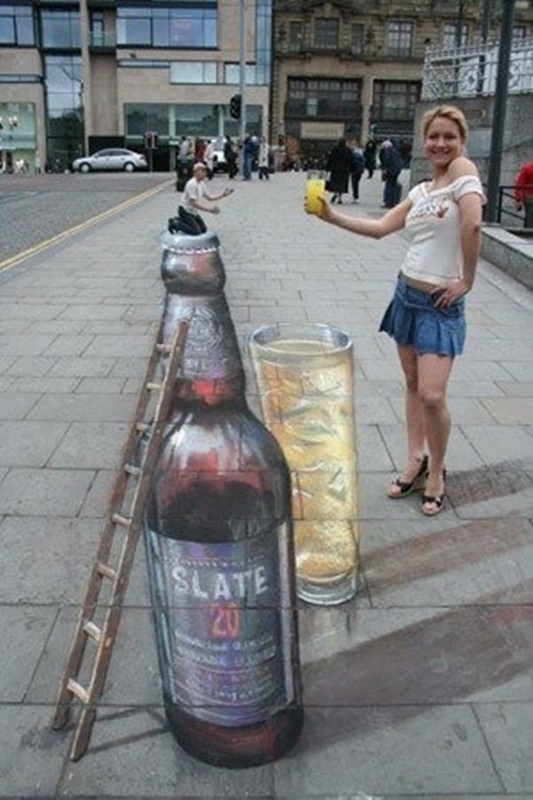 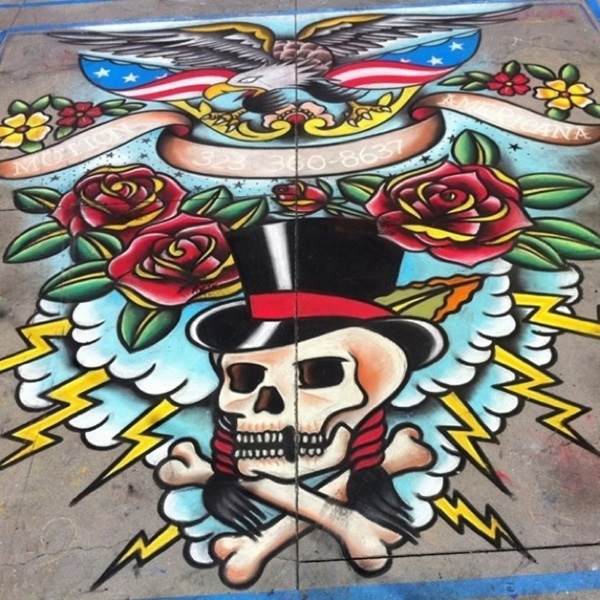 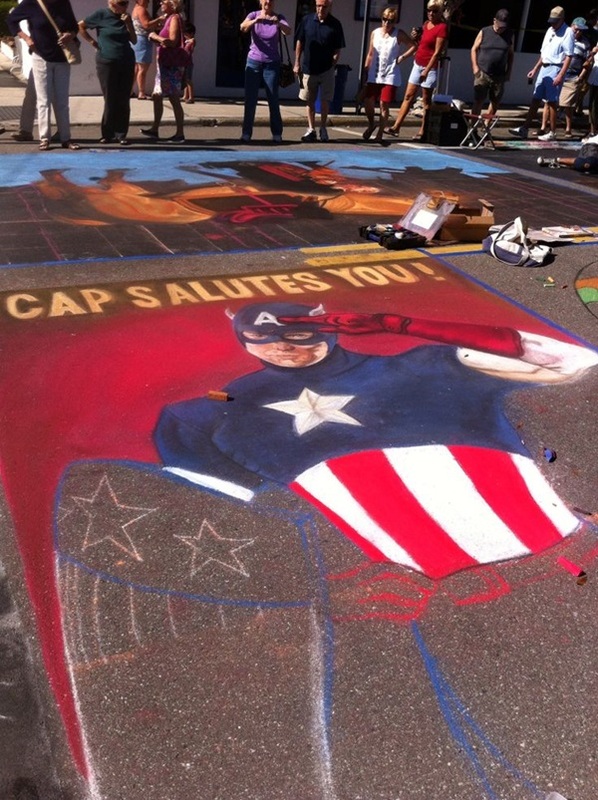 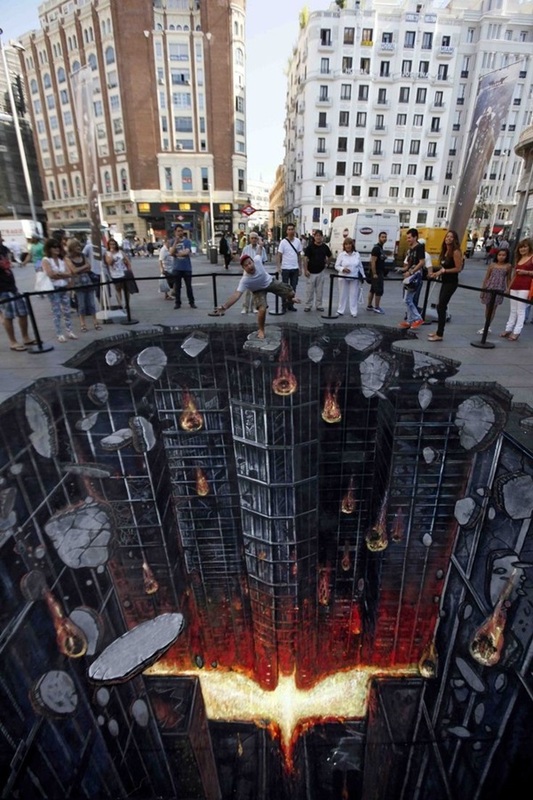 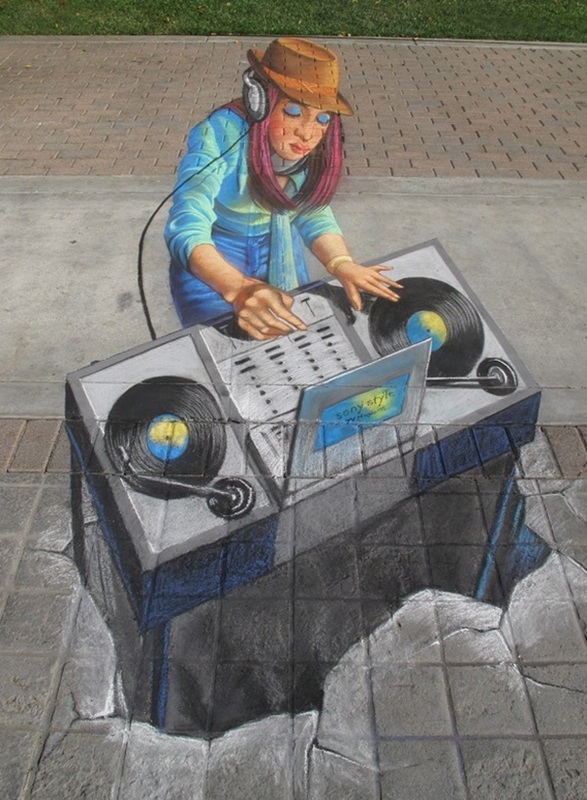 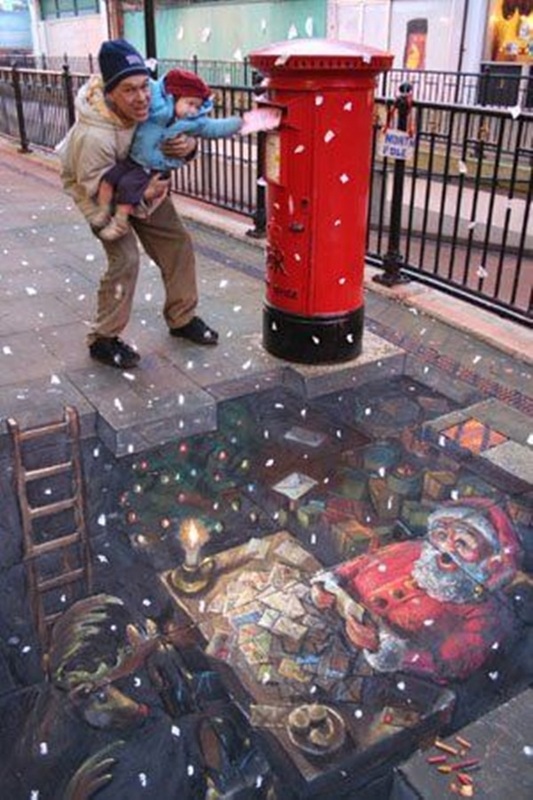 Many of the examples of chalk art here have not even used a formal canvas and have been done right on the streets. 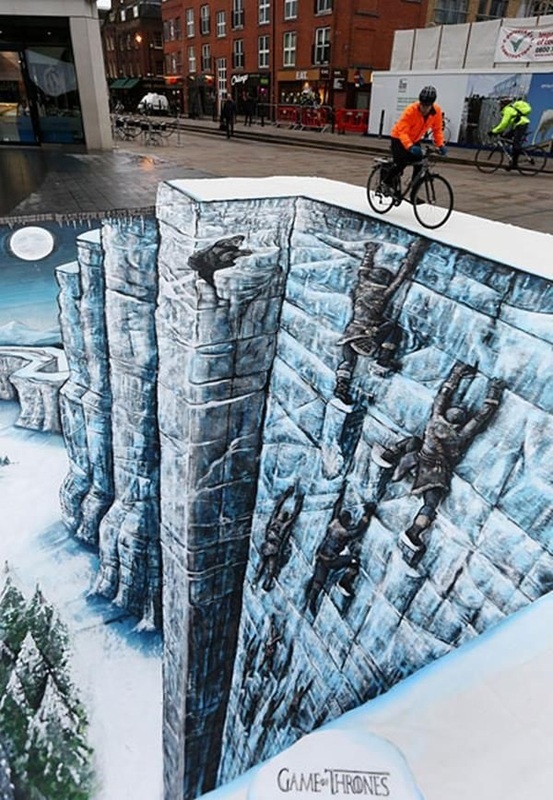 They have not only used the elements around to create the art, but they have somehow managed to make these elements part of the art itself. 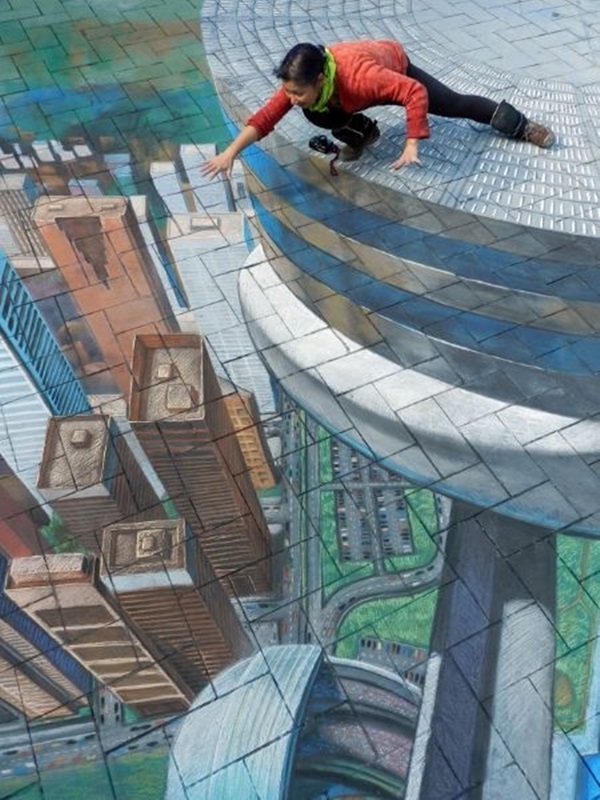 There is no way you will be able to look at any of these pieces of art and remain completely unmoved.